A blues guitar player whose name I cannot recall once said that the blues isn't about the notes a musician plays, it's about the notes he doesn't play. Horror works in exactly the same way. A horror writer is responsible for providing a precise amount of detail that is necessary to frighten a reader. No more, no less. Not enough detail and the reader cannot picture the scenario, too much detail and you eliminate the fundamental criteria in all scary stories: the reader's imagination. It's a literary balancing act that is often destabilized by a writer's overwhelming desire to add more (in this case unnecessary) detail. The writer should provide only what is absolutely necessary for the reader to conjure up the most horrifying aspects of their own imagination. As P.T. Barnum may or may not have said: "Always leave them wanting more." While this is true of virtually every situation in life, this truism is especially true for horror writing. Good horror should end in a hair-raising climax that wraps up enough (but never all) of the story's loose ends. The unresolved (or unrevealed) issues at the end of a horror story are the most crucial. In my humble opinion, horror should leave the reader alone with their own imagination as to what happens next. Does Carrie rise from the dead and terrorize the town of Chamberlain? There should be room for infinite imagined terrors to occur in the readers mind after the last word has been written. The reader, on the other hand, has responsibilities of their own when entering into a horror story. He or she must enter into a horror story with an open mind, devoid of preconceptions and biases and prepared unequivocally to suspend their disbelief beyond its usual boundaries. Unlike other genres of fiction, I make it a policy to enter into a horror story with no expectations. If you project your expectations onto a writer they are bound to disappoint. I will hereafter refer to this phenomenon as the Late-Era Stephen King Anomaly. So as you can see, horror fiction is a social contract of sorts between a writer and a reader. A symbiotic relationship that, when it works, results in extraordinarily fun reading but when it doesn't.... egads! So it was nice to sit down with Ian Roger's new collection of short stories with a wide open mind and be pleasantly surprised to find an eclectic anthology of stories that are not only well-written but also offer the precise amount of detail while leaving all the climaxes as open ended as possible. No awkward reveals, no detailed descriptions of monsters that never, ever live up to expectations and no not once was I disappointed with an ending. That's a difficult feat to achieve. 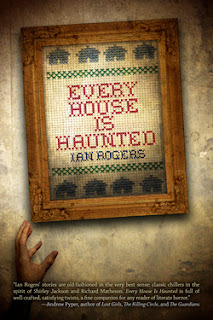 Every House is Haunted is a loosely intertwined collection of stories that range from paranormal to science fiction to strict horror. I'm not going to summarize over two dozen stories for you, so you'll just have to go find this book yourself if you are interested. I will tell you that it is cleverly divided into five sections, fittingly entitled The Vestibule, The Library, The Attic , The Den and The Cellar. 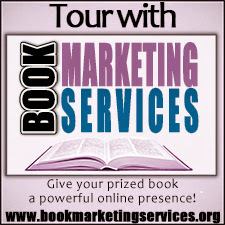 A literary house tour, if you will. Although Rogers notes in his introduction that his greatest influence was Stephen King (and who am I to question that?) I thought his style throughout the collection was predominantly reminiscent of Robert McCammon's short fiction. However, "The Tattletail" is a nod to J.K. Rowling. H.P. Lovecraft is manifest in "Charlotte's Frequency" and, most tellingly, "Winter Hammock" evokes the ghost of Kurt Vonnegut. Certainly not literary lightweights. If Rogers is running on even half capacity compared to those writers, you can't miss. I'll go so far as to say he's pacing them rather well, indeed. Of course, I don't want to imply that Rogers doesn't have a distinct literary voice. He most certainly does. But short fiction is a difficult genre. The writer has to get straight down to business, often at the expense of details that either the writer or the reader would have otherwise like to have been privy. Maintaining the trust of the reader is difficult when you are trying to craft as story only 20 pages long. It doesn't take much to disappoint a reader in a short span. So voice and pacing become an especially important aspect, one that Rogers handles adeptly. One does not want the same voice in each and every story. A certain amount of homage is an ingenious way to ensure each narrative employs a different tone and voice. So what, exactly am I rambling about? Is this book any good or not? Should you go out and buy the damned thing or not bother? Well, like most titles in the horror genre, this is not the sort of collection that is going to win over new fans. There is little to no cross-over potential here. If you like romance, you'll find none of the cross pollination one finds in titles such as Twilight. However, if you are constantly on the lookout for new and interesting work in the paranormal genre, this is a can't-miss title. 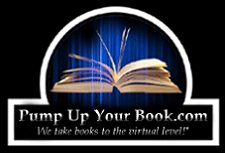 Well-crafted stories, well-crafted characters, no condescension and boat loads of fun to read. In Every House is Haunted, Ian Rogers doesn't play all the right notes. About the Reviewer: Ryan St. Onge is a Canadian citizen lost somewhere in Asia, which is a terrible place to be lost if you like reading English books. He gets by via second hand bookstores and his Kindle. If given the choice (though he rarely is) he prefers literary fiction and non-fiction. Oh yeah… and zombies. Ryan has been an avid reader of zombie lore for over 20 years. That’s either awesome or utterly sad. You can choose. And if you want to see what else Ryan has been reading, you can visit his blog, Reading in Taiwan. I just recently reviewed my first ChiZine book and can tell it will not be the last. Nice to know I have great things to look forward to here. Chizine totally jam up. They put out some really high quality stuff.